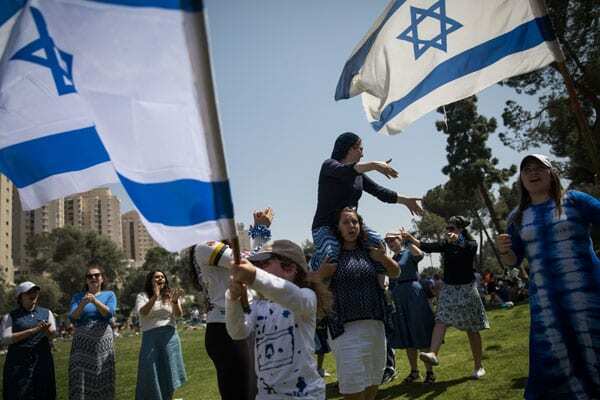 The population of Israel now numbers 8.842 million people, a tenfold increase since the state’s establishment, according to a special report published by the Central Bureau of Statistics for the Jewish state’s 70th Independence Day. According to the report, 805,000 people lived in Israel in 1948. At the state’s centennial in 2048, the population is expected to reach 15.2 million. Over the past year, the population has grown by 163,000, or 1.9 percent, the report said. During this period, 177,000 babies were born, 28,000 people made aliyah, and 41,000 people died. The report provided detailed statistics on the population growth over the decades. Although in Israel’s first decade the population grew at an impressive yearly average of around 8 percent, by the 1980s growth had to fallen to less than 2 percent. The massive immigration from the former Soviet Union during the 1990s raised this to more than 3 percent. In the past decade, the average has again stabilized at around 2 percent. The bureau expects Israel’s population growth rate to fall slightly in the future from 2 percent in 2016 to 1.7 percent in 2048 to 1.6 percent in 2065. Since the founding of the state, some 3.2 million immigrants have arrived in Israel. The first of the two largest immigration waves began with Israel’s establishment and ended in the mid-1950s, with 700,000-plus immigrants arriving during these years, almost doubling the state’s population in four years. The second large wave came in the 1990s, when an estimated 900,000 immigrants from the former Soviet Union arrived, making up more than 10 percent of Israel’s total population. The report noted that in 1949 there were 500 communities in Israel, which grew to 1,214 by 2016. Today, some 44 percent of Israelis live in the nation’s 16 largest cities. Israel’s capital, Jerusalem, is the country’s largest city, with 882,000 residents. The remaining 15—Ashdod, Beersheva, Givatayim, Hadera, Haifa, Herzliya, Holon, Kfar Saba, Netanya, Petach Tikva, Ra’anana, Ramat Gan, Rehovot, Rishon Lezion and Tel Aviv—each has more than 100,000 people.